Today I have something old and something new! Both are inspired by iconic shapes. 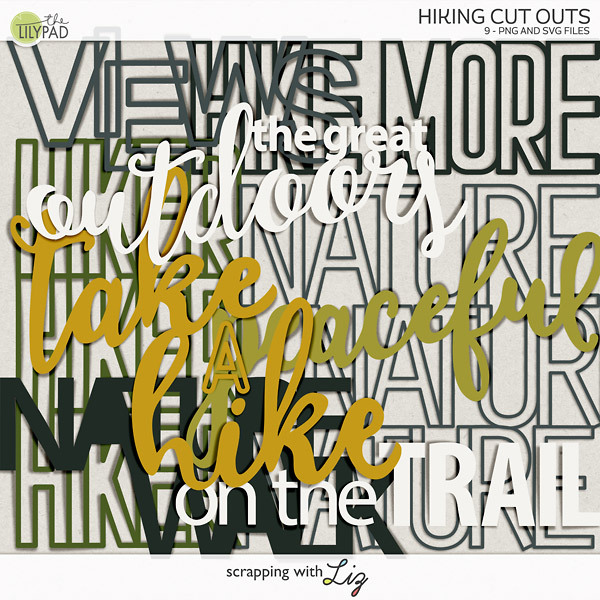 Enjoy the 50% discount on these templates today only March 1, 2017. 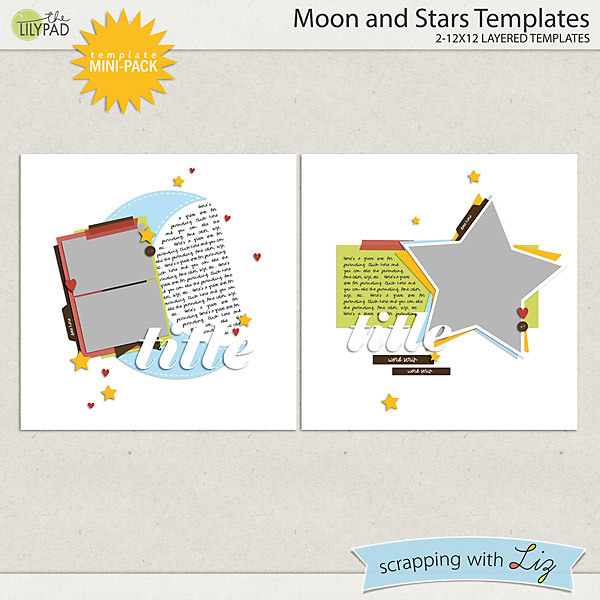 Moon and Stars Templates is a NEW mini themed set. These can be used for so many different types of pages: baby and toddler, start students, science, theater, or just scrapping about the nighttime, and at 50% OFF you can get it for $1.25! 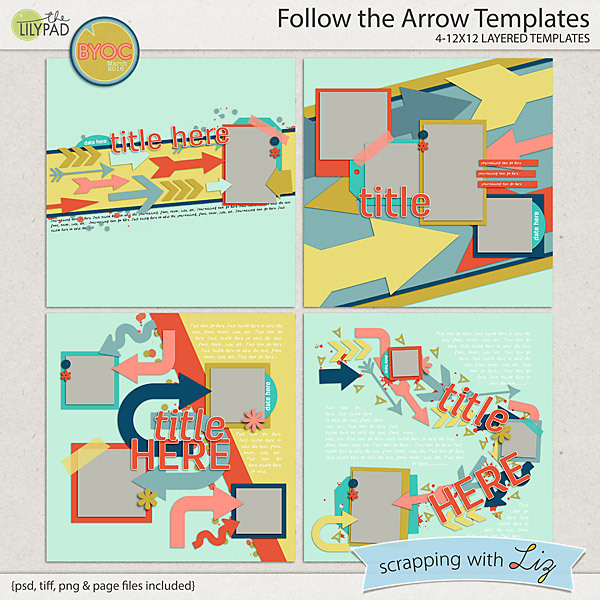 Follow the Arrow Templates are great for scrapping travel, motion and action, or maybe a U-turn or confusing time in life. 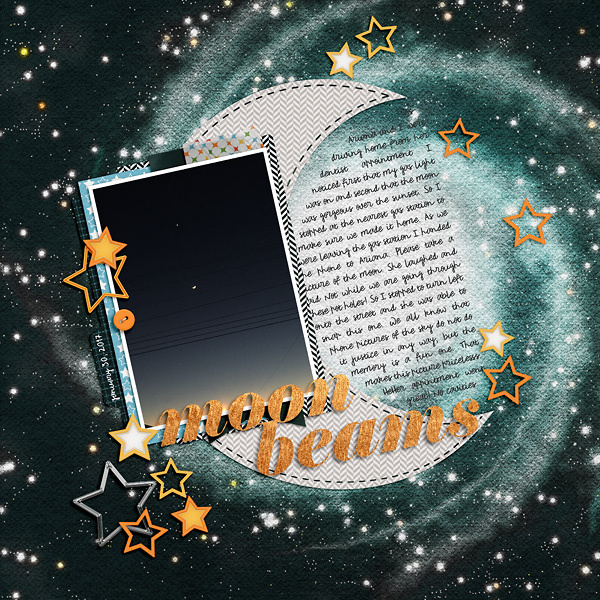 Amanda scrapped an everyday story with Moon and Stars Templates. 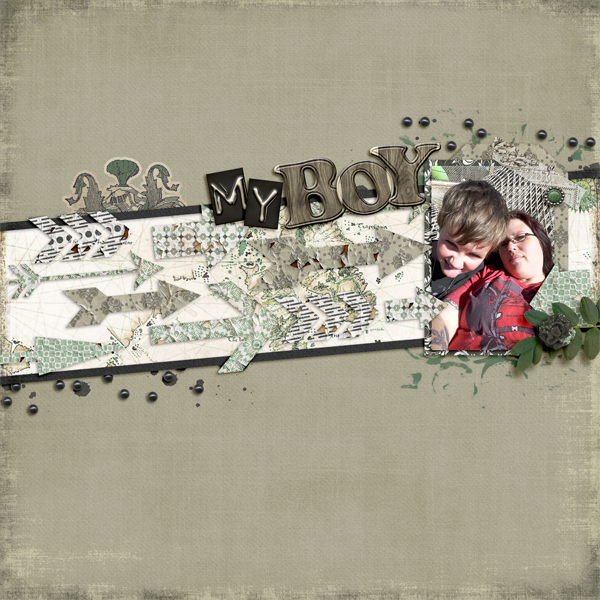 Christine scrapped a mom and son page with Follow the Arrow Templates. 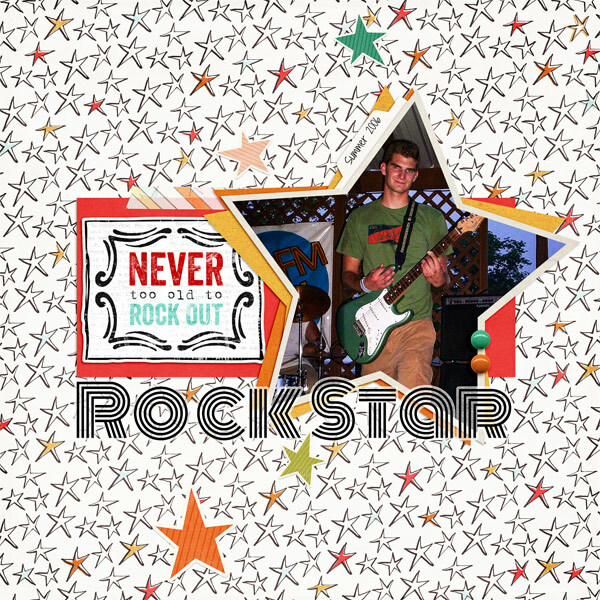 Donna used Moon and Stars Templates to make this Rockstar page. 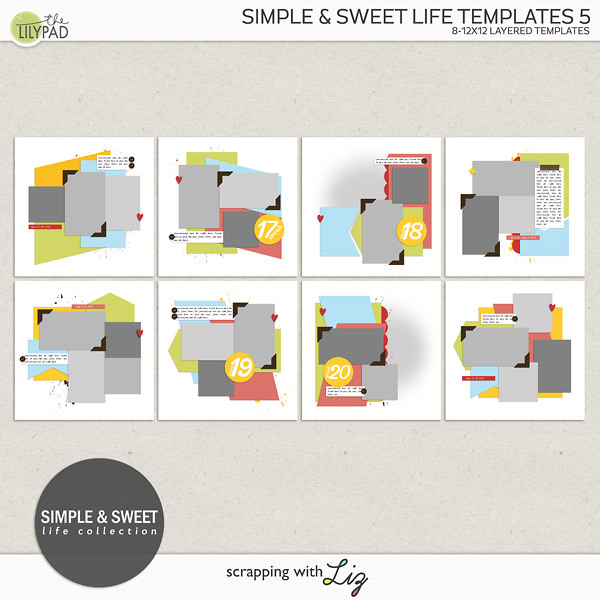 Grab these templates now while you can get them at 50% OFF!